← Dear Husband of One Hundred Days Cast Hold Script Reading and Attend EXO Concert to Support D.O. 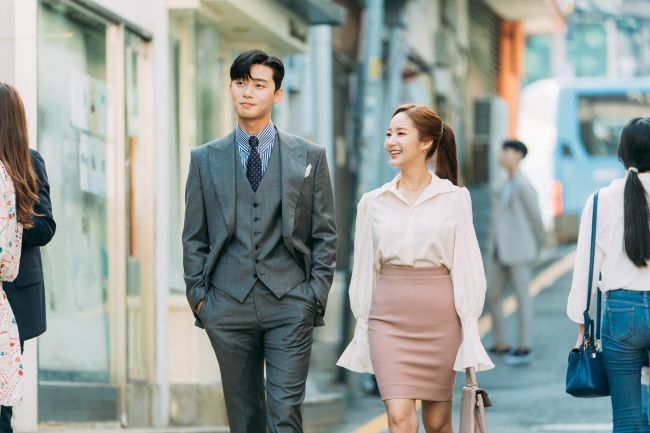 The ailing in ratings rom-com genre got a much needed heart restart this year with the success of Why Secretary Kim, and last year the somewhat rom-com-ish Strong Woman Do Bong Soon was also a much needed jolt. The PD of Why Secretary Kim, who also directed This Life is Our First, Bring it On Ghost, and the first two seasons of Let’s Eat, has already selected his his K-drama to direct. He’ll be adapting the web novel Touch Your Heart which sounds and looks similar to the vibe of Why Secretary Kim. It’s the story of a top actress whose career suffers due to a dating scandal with a 3rd generation chaebol and is desperate to land a role in a K-drama by a famed screenwriter. She goes to Korea’s top lawyer and pretends to be a normal girl and gets a job as his secretary. The webtoon is the secret office romance between a capable lawyer and his secretary who is really Korea’s top actress. The drama has already been picked up by tvN to air in the first half of 2019. Not sure if Kang Sora would be a good fit for the role but I do wish she can come back with a drama soon! Kang Sora, Park Shin Hye or Shin Se Kyung would all do well with this role. It looks like something fun and light. If the characters were younger I’d go with Kim So Hyun or Kim Sae Ron. Where can I read the webtoon? I don’t like the storyline but why does the plot sound pretty similar to the drama which will feature YEH and CJM? With the mentioning of YEH… can they just get her to do this drama? She is good in romcom. do you know where can i read it? The female lead looks young and cute. I immediately thought of IU and Kim Yoojung. No idea who resembles the male lead. Is there even anyone who looks like that in real life? Not so much Secretary Kim – early episodes were enjoyable. Then the the office scenes started to wane, ewen the couple moments started to wane. Ep 16 was a dutiful tune in. Depending on the leads, this type of rom-com cannot command audience unless the leads are charismatic. Even WSK lost its steam towards to end. Maybe they should make rom-com under 10 episodes to avoid the dragginess… sigh. no matter how good drama if that drama fill with so many hot fan service and cheesy dialogue,i’m not interested. If y’all want a good office romance, I suggest the currently airing (soon to be finished) Between! It stars Marcus Chang and Esther Yeh. First two eps may come off annoying but it gets better! Just wanted to promote bc it’s pretty underrated rn and I think it’s one of the good romcom office dramas out there! I agree! Between is such a great drama once you get past the silliness in the first episode. The male lead of the new webtoon really resembles Park Hyung Shik. at least for me. Please no. I don’t want my boy to do any cheesy rom-com like this. I don’t mind any other actors out there to step into this role, just praying hard not PHS. He deserves better. The female character looks so much like Kim So Hyun, pretty and elegant. I’m still waiting for her to reunite with the PD since he’s a huge fan of hers. Korean web novels are good if the plot is not generic, and I find most of the love stories cringey and they use so many tropes. 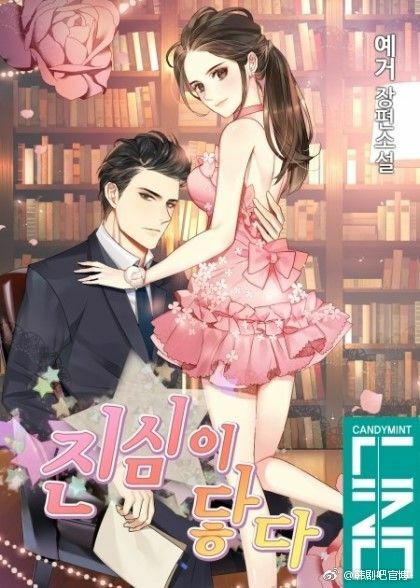 I like romance, but I think the PD should focus on another theme because the secretary theme is getting a bit repetitive.